If somehow you haven't heard, Kalamazoo is among the world's greatest destinations for world-class, craft-brewed beer. 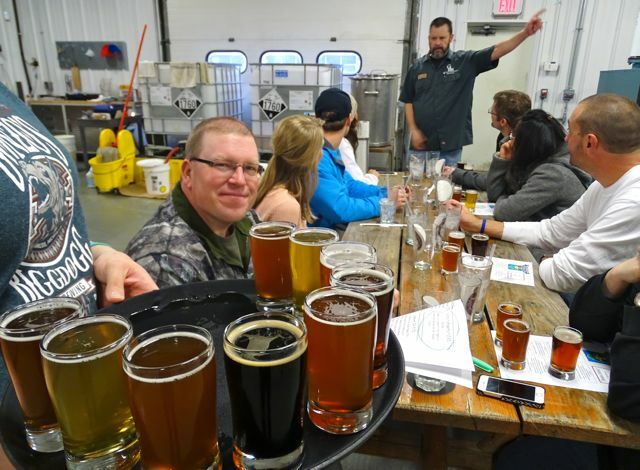 It began over thirty years ago with Bell's (who has created some world-famous beers, including Two-Hearted Ale IPA and Oberon), and since then craft brewing has become a substantial area industry with over thirteen craft brewers in Greater Kalamazoo alone. And nobody puts you closer to the action than The Kalamazoo House! Public Tours are now offered throughout the year! Hat's, Boots, and Hops will returns Feb 24-26 2017. Click here for more details. All the normal features and benefits of staying at the Kalamazoo House.